In honor of the first weekend of August, I would like to share my recipe for one of my favorite chilled summer salads. 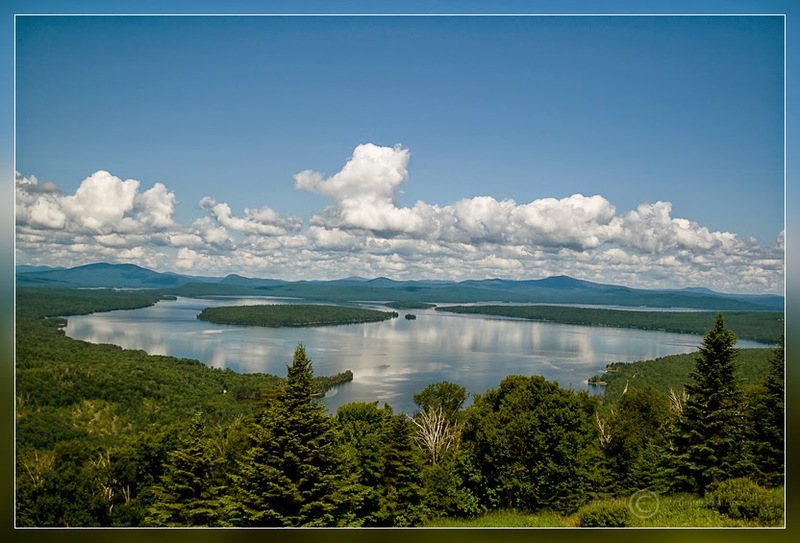 The first weekend of August as a kid, meant it was time to head to Mooselookmeguntic Lake, located west of the town of Rangeley, for two days and two nights of swimming, canoeing, volleyball, campfires and live music. My mom would always make Four Bean, Tabouli, and Potato Salads, and pack them into the giant cooler. This along with tents, sleeping bags, sparklers, and many other camping items, would get stuffed into my dad's Ford Ranger truck. In the bed of the truck, we would lie down camping mats, where my two best girl friends and I would squeeze ourselves among the belongings for the exciting ride full of girl talk and giggles. The canoe would be tied on the roof, and my parents and younger brother would squeeze in up front, and off we went for the hour or so trek, where moose often hid in the shallow, mosquito-filled bogs at the sides of the road. When we would arrive to the glacier cut lake, where rocks the size of vehicles scatter the shores, everyone would load onto the "barge" boat, and be ferried across to Toothacre Island. Hours would be passed in the summer sun, as our fingers and toes would morph into raisins, diving off of mermaid rock and attempting to swim to the enchanted mystery island, which always appeared to be closer than it was. When the inky night would stain the sky, and stars would twinkle their distant light, the air would fill with the sweet-scented smoke of hard and softwoods burning in the fire pit; whose flames hosted the perfect heat to bronze your marshmallows, and just enough light to press them between the richness of a smooth chocolate bar and and two crunchy graham crackers. The notes of banjos, harmonicas, guitars, mandolins, and drums would chime along to the sporadic cracks and pops from the fire, as lyrics from songs of The Grateful Dead and Bob Dylan would rise above the silhouetted treetops. At the break of day, morning would greet your ears, with the sound of water lapping the shore and the solemn sound of loons calling from their wavy roosts, enticing you to come and indulge in another days activities. So three cheers to childhood memories, summer salads, and the many beautiful lakes of Maine. Wash and trim green and yellow beans. Steam for 5-8 minutes until tender but not soft. Remove from heat and rinse with cold water, so they will not continue to cook. While the beans are cooking, thinly slice about ¼-½ of a sweet onion. Transfer slices to a colander, slowly rinse onions with 3 cups boiling water. This will tone the flavor of the onion down, so they are not so strong. Drain and rinse garbanzo and kidney beans. Place them along with onions in a large mixing bowl. In a two cup measuring cup, combine the vinegar, lemon juice, mustard, salt, pepper, garlic (I use a garlic press, or you can finely mince the cloves with a knife), oregano, sugar. Mix well with a small whisk, when sugar has dissolved add the EVOO. Mix well. Finely chop leaves of fresh parsley, either curly or flat leaf. You want about ¼ cup chopped leaves. Add parsley to bean mixture. Transfer green and yellow beans to the large mixing bowl. Pour the oil and vinegar marinade over the beans. Toss well to coat all beans. Take care as not to mash the kidneys and the garbanzos. Cover salad and store in fridge. Let chill for at least 2 hours before serving. Keep in mind that the longer they chill in the fridge, the more flavorful the salad will become. Be sure to toss the salad to coat with marinade before serving. This bean salad tasted better than the one i made last week! I think you have the touch (or taste?) And the evoked memories of trips to ToothAcher Island are so sweet. A magicla place where all the food tasted even more delicious.